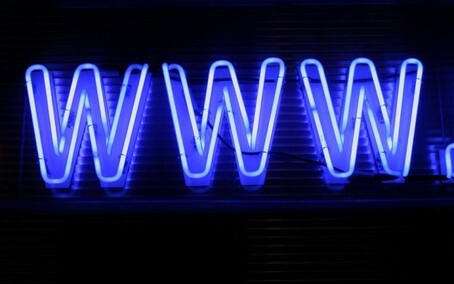 It was 25 years ago that the World Wide Web was born: from a plan to organise scientific data written in a nondescript Swiss office, it has grown to become one of the most important creations in human history. We look at how it all started. In 1989 the internet - a global system connecting computer networks - had been up and running for several years. Data could be sent between connected machines regardless of their location. But an effective way to make it all browseable by a wide audience remained elusive. 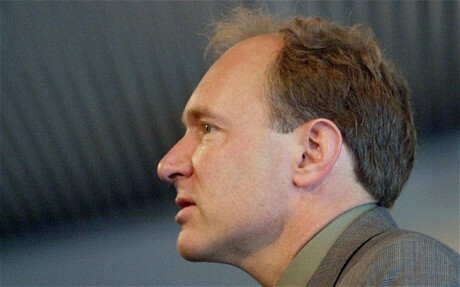 At that time Tim Berners-Lee was a computer programmer at CERN, the European Organization for Nuclear Research. He was concerned by the frequent loss of data from scientific experiments. He saw researchers wasting time duplicating effort because knowledge was lost amid high staff turnover. Someone could spend weeks solving a problem with an experiment or fixing an issue with a complex piece of equipment that had already been overcome years earlier by another scientist. 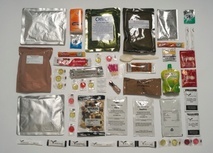 What was needed was a way to make information simple to find. So he laid out a plan in a short paper, dated March 1989 and matter-of-factly titled Information Management: A Proposal. “The problems of information loss may be particularly acute at CERN, but in this case, CERN is a model in miniature of the rest of world in a few years time. CERN meets now some problems which the rest of the world will have to face soon,” he wrote. That humble document was to bring forth the World Wide Web, the system that is bringing this article to you now and which has become entwined with almost every aspect of modern life. Few other inventions have made such an impact on society. Essentially he was proposing a way to make links betweens documents, contextual pathways that could be followed in a logical way to browse through mountains of data and arrive at exactly what you need. These links are second nature for most of us now but the effect has been revolutionary. The idea was not entirely new, but it came at a fortuitous time as computers became ubiquitous and the internet provided a simple way for them to communicate. American engineer Vannevar Bush wrote, in an article for The Atlantic in 1945, suggesting a system called the memex (memory index) into which people would compress and store all manner of books and information. He grasped at the edges of the concepts which would create the World Wide Web more than 40 years later. "Wholly new forms of encyclopaedias will appear, ready made with a mesh of associative trails running through them," he wrote. That article, and work by others including Douglas Engelbart - the creator of the computer mouse - had influenced Tim Berners-Lee. The enormous potential of his paper was not immediately apparent, but it seemed like a solution to a problem that had plagued CERN. His boss, Mike Sendall, wrote a note on his copy: “Vague but exciting…”, then gave the go-ahead to develop it. You can see that website online to this day via an interface which mimics the early Line Mode Browser written by Nicola Pellow, a mathematics undergraduate from Leicester Polytechnic working at CERN. Previously there had only been WorldWideWeb, written by Tim Berners-Lee, which only ran on NeXT machines. Another CERN employee, Bernd Pollermann, uploaded the internal phone directory as a website, arguably one of the first practical uses of the web. Soon scientists were sharing results, technical information and facts and figures about CERN that would previously have been difficult to track down. In 1993 the organisation announced that anyone would be free to use all the technology behind the World Wide Web, giving it a healthy boost ahead of some rival standards such as the University of Minnesota’s Gopher, which charged licensing fees. For a few years in the early 90s there was more Gopher traffic than WWW traffic on the internet, but its fate was sealed. In June that year another turning point for the web was reached when the Mosaic browser was released to the public. Originally written for Unix, there were Windows, Macintosh and Amiga versions available by the end of the year. It was a more elegant and graphical browser than had previously been available - images were shown in the text of websites, rather than in separate windows. It set the tone for the direction of the web and provided it with a massive boost. Wired magazine said in 1994 that it allowed users to “travel through the online world along paths of whim and intuition”. Eventually the browser market would turn ugly. It seems hard to imagine now, but in the early days many people paid for browsers. Netscape Navigator was a commercial option that was hugely dominant in the 1990s but eventually beaten when Microsoft released its Internet Explorer for free and latterly bundled it with Windows - leading to an anti-trust case in the US over accusations that it had created a monopoly. And the Browser Wars continue to this day. Microsoft beat Netscape, but the code for Navigator was released to the open source community and led to the release of Firefox, which gave Internet Explorer a run for its money in the early 2000s. Google is currently enjoying the lion’s share of the browser market with its free Chrome browser, released in 2008. One aspect of this competition is that browsers have become more and more advanced, capable of displaying the increasingly complex and feature-rich websites that have emerged. Web 2.0, which became a ubiquitous buzzword after the turn of the millennium, described websites which had evolved beyond static pages and brought interactive and dynamic elements to surfers. Since those early days at CERN we have seen the rise of online shops, search engines, social networks and cloud computing. And, as the World Wide Web Foundation says on its own website, most of the history of the Web is ahead of us. The future holds the Internet of Things, where a wide range of devices will be linked together as desktops have been for decades. You will be able to control your home thermostat from your iPad at work, your fridge can re-order groceries when they run low or a parking meter can get in touch to warn you that your time is nearly up.